The closest rocky planet outside our solar system, which is larger than Earth and the potential gold mine of science data. Even though it is too much hot to visit, and it significantly closer than Kepler but it’s 21 light years away from Earth. The new horizons probe of Nasa has famed for taking recent stunning pictures of Pluto. If you were on a spaceship and going fast, it’d take you just over 387,000 years to get to HD 219134b from planet Earth. Michael Werner, who is the project scientist for the Spitzer mission at Nasa. He said that, “this exoplanet will be one of the most studied for decades to come.” This exoplanet has been tipped as a perfect observation subject by James Webb Space Telescope of Nasa, which will be launched in 2018. Complex observations into this exoplanet have unveiled that, it is around 4.5 times heavier than planet Earth. By observing the planet when it passes in front of its star, scientists can observe minor changes in the light, caused by the differing reflections of different chemicals in its atmosphere. 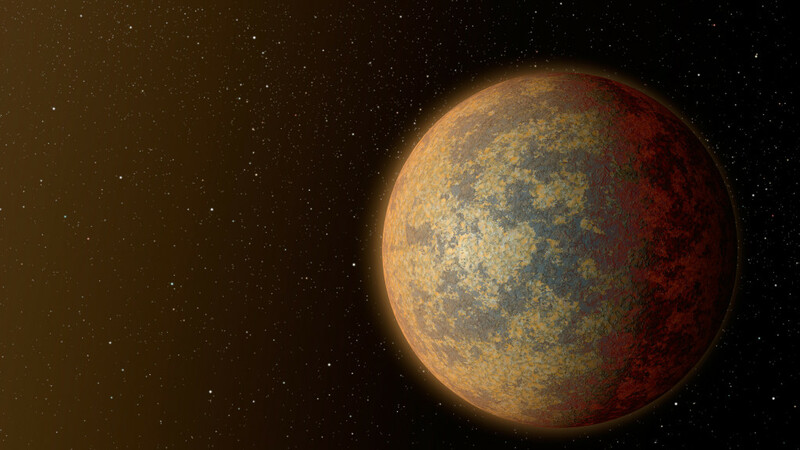 Planets like this one belong to a growing list of planets called ‘super Earths’ planets that are similar in makeup but slightly larger than our own planet, a category that includes Kepler 452b. It is also around 1.6 times larger than Earth, and by combining the estimated size and mass, scientists have figured out its density, concluding that the planet is rocky, like our planet and not icy, or gaseous. Even though the planet is millions of miles away, scientists could soon be able to figure out the ingredients of its atmosphere. Michael Werner also explained that: “Transiting exoplanets [planets that pass in front of their star] are worth their weight in gold because they can be extensively characterized.” The planet has also been tipped as a perfect observation subject by Nasa’s James Webb Space Telescope, which launched in 2018. The James Webb is the most prominent in the latest generation of space telescopes, and will be the successor of the Hubble Space Telescope. It will be able to look at distant planets and other bodies in more detail than ever before.